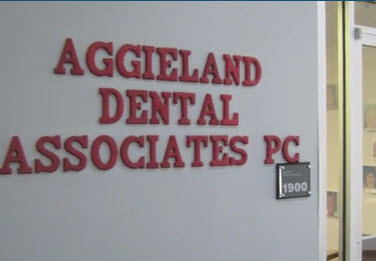 Aggieland Dental Associates is a College Station dental practice operated by Drs. Ken and Roxane Spence, a husband and wife team of compassionate dental professionals. We are dedicated to maintaining, enhancing and restoring your dental health through the finest dental services available. Our dental practice welcomes kids and adults alike to experience the difference that quality dental care can make. At Aggieland Dental, we strive to provide each patient with a healthy, long-lasting, and brilliant smile. We accomplish this by open communication, utilizing advanced technology, and creating individualized treatment plans to meet your unique needs. Whether you need a routine visit, including an exam and cleaning, or require more extensive dental care, we can help. As a family-oriented dental practice, our dentists understand that our patients have busy lives and offer flexible appointment times. We also keep your wait times to a minimum as we don't overbook. Our College Station dentists make receiving care convenient for families by offering a complete line of dental services at our location, reducing the need for referrals to other specialists. Your smile is our top priority, so we provide convenient services to ensure you and your family can achieve and maintain healthy and beautiful smiles. Drs. Ken and Roxane Spence both received their dental degrees from University of Texas Dental Branch in Houston. Serving their community at Aggieland Dental Associates since 1994, they combine their love of dentistry with a thirst for knowledge and attention to detail. Dr. Roxane Spence's background as a pediatric dentist and Dr. Ken Spence's history in pharmacology and education bring a unique level of expertise to their joint practice. To experience the Aggieland difference and start smiling with confidence, call our College Station dental office today, or use our appointment request form. College Station dentist, Aggieland Dental Associates, PC is a dental professional dedicated to general, family, and cosmetic dentistry with services including dental exams, dental makeovers, teeth whitening, veneers, crowns, x-rays, cleanings, and more. Please call our dentist in College Station TX to schedule your next appointment.